An Australian lawyer has set the record for the largest LED image display. 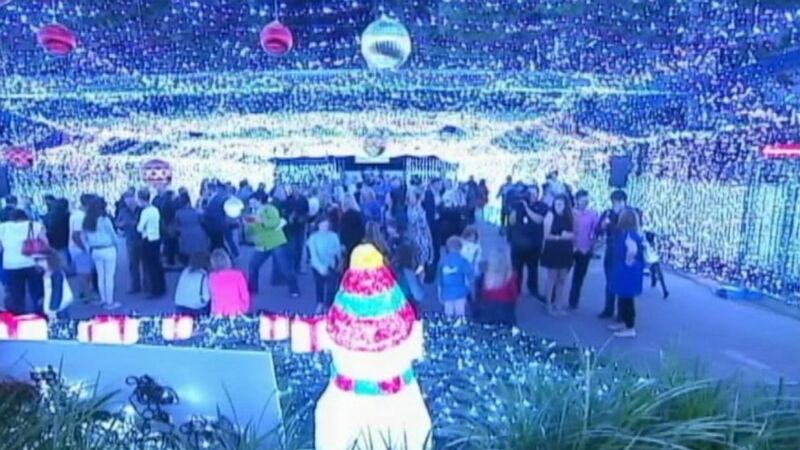 Christmas will certainly be a bit brighter in Australia this year, thanks to a lawyer who has put together a record-setting Christmas light extravaganza at a shopping center in the country down under. 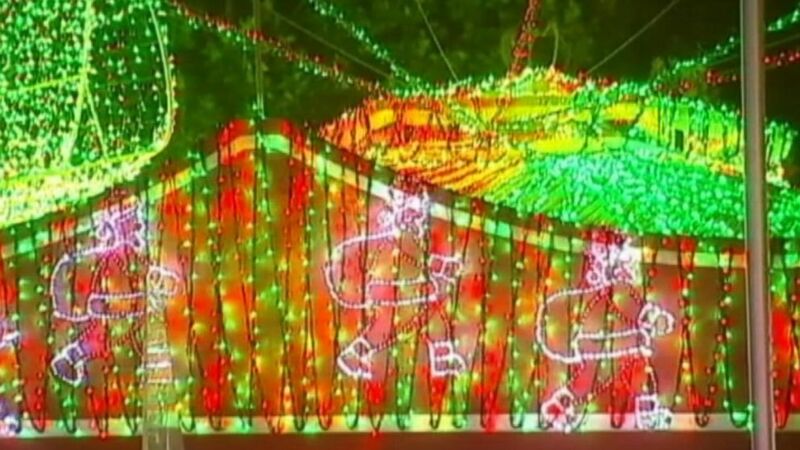 David Richards, who’s from the capital city of Canberra, has continued the classic Christmas tradition of stringing lights, but with 1,194,380 of them in his case, setting the record for the biggest LED image display, according to Guinness World Records. (AuBC) Australian David Richards in Canberra has created a Christmas light display that earned a Guinness World Records title for the largest image made of LED lights. “Christmas lights really get people into the festive spirit," Richards told Guinness. "We decorated our home for years, and people came from everywhere to see our lights. This year, who knows how many people will come along?" 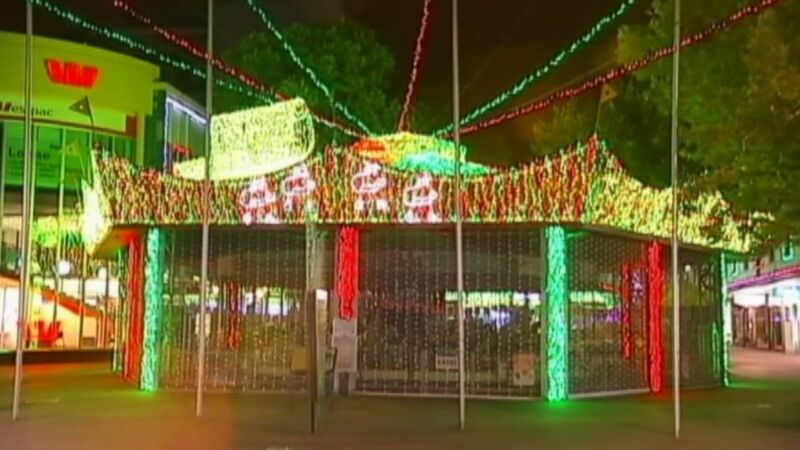 Canberra's Petrie Plaza now features a 3-D image constructed of lights covering more than 41,000 square feet in the shape of three large, Christmas presents tied together. The exhibit trumps the previous record set by Oltin yo’l GTL in 2012 in Shuran, Uzbekistan, using 1,012,840 lights, according to the Guinness website. Richards and his family are using the exhibit to continue another tradition of raising funds for SIDS and Kids ACT, a charity dedicated to preventing sudden and unexpected deaths in children age 6 and younger and one the Richards have supported after it helped them through a loss they suffered in 2002. “We have architects, civil engineers, tradies, construction companies, sound engineers... all volunteering and donating goods and services, as well as wonderful sponsors including Canberra CBD Limited, Luton Properties, BLOC and the Canberra Centre,” Richards told Guinness, adding that it took months of planning. (Alan Porritt/AAP/AP Photo) Lights twinkle in a mall in Canberra, Australia where David Richards has set a Guinness World Record by stringing up almost 1.2 million Christmas lights in the center of the national capital on Nov. 27, 2014. 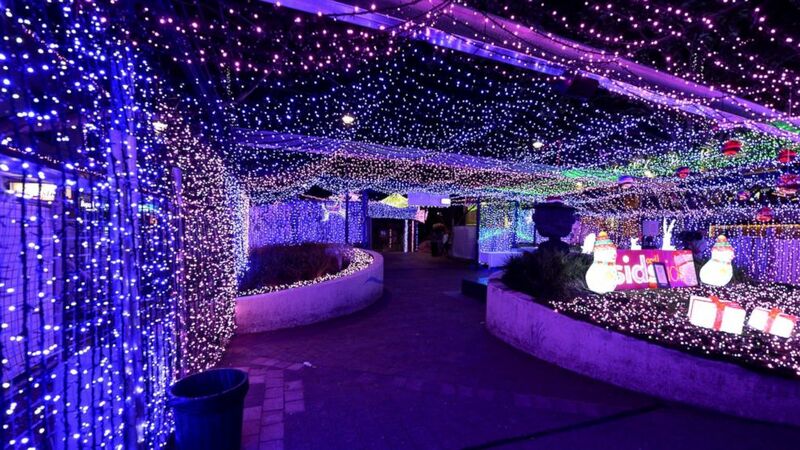 Richards is not a new addition to the Guinness Book, having set a different record last year when he decorated his home using 502,165 Christmas lights. He also held the same record in 2011. He and his family throughout the years have raised over $200,000 for SIDS and Kids ACT. Guinness did not immediately return calls for comment.